We offer educational, engaging sessions in the following categories. Innovative Libraries is not just about the intersection of technology and print, but the shift of patrons from consumer to producer. Instead of being the place for students to acquire knowledge, it is also an environment for our learners to make meaning of information and create new ideas. Using both the National School Library Standards (AASL) and the ISTE Standards for Students and Educators, Mackin Consultants help librarians identify targeted areas of growth and collaboratively develops a plan to address those areas. We help librarians “start where they are” and make intentional, strategic changes to their programs to make the most meaningful impact to the students and teachers they serve. harnessing the talents and strengths of those around us to build trust, grow efficacy, and achieve more collectively than we could imagine individually. Mackin Consultants use a strengths-based approach to all leadership-focused sessions, honoring the gifts educators and students bring to the learning and leadership process. They ground the collaborative learning sessions in the principles of adult learning, appreciative inquiry, collective efficacy, and engagement gleaned from their own learning and the research of thought leaders they study including Simon Sinek, Patrick Lencioni, John T. Guthrie, Irene Fountas, Gay su Pinnell, John Hattie, and Michael Fullan. Literacy is often narrowly defined as reading and writing when it could more accurately be defined as thinking or learning how to learn. When we broaden our definition of both literacy and text (any content be it visual, audio, tactile) we open up the methods, tools, and mindsets of all learners and educators. Mackin Consultants use a strengths-based approach to all professional learning sessions, honoring the gifts educators and students bring to the learning process. They ground their sessions in the principles of adult learning, motivation, and engagement gleaned from their own learning and the research of thought leaders they study such as Richard Allington, Robert Marzano, Simon Sinek, Patrick Lencioni, John T. Guthrie, Irene Fountas, Gay su Pinnell, Marie Clay, and John Hattie. on rote memorization of facts and an increased demand on collaboration, critical thinking, and complex problem solving. All of these skills demand a high level of flexibility and creativity. So how do we as educators provide opportunities for creativity and collaboration, while still addressing the standards we are required to teach? Fortunately, we are teaching during the age of the maker movement which aims to integrate opportunities for imagination, creativity, and an inventor’s mindset into the K-12 setting. One way to foster this is by developing a makerspace in your school or classroom. researchers, practitioners, and thought leaders have pushed us to consider the science behind motivation and to reconsider many of our instructional approaches. Carol Dweck, John T. Guthrie, Daniel Pink, Steven Layne, Stephanie Harvey and Harvey Daniels, and many more have pushed us to rethink the use of carrots and sticks, consider student voice and choice, and examine the intersections between what motivates us as adults (autonomy, purpose, and mastery) and what motivates our students. Mackin’s Professional Learning Director, Dr. Jennifer McCarty Plucker’s research has been centered on motivating and engaging adolescent learners in literacy and learning. Her practical case study insight has helped other districts rethink how they create conditions where striving readers and learners can grow as readers, writers, thinkers, and scholars, actually enjoying the process along the way. Dr. Jennifer McCarty Plucker is a National Trainer for the Center for Teacher Effectiveness Time to Teach program: Student Engagement. She can provide an interactive and inspiring one day workshop geared toward increasing student interest and attention in all content areas and at all grade levels. Jennifer McCarty Plucker, Ed. 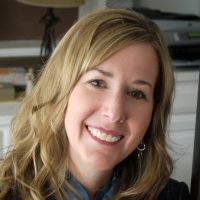 D.
Jennifer McCarty Plucker partners with educators to provide customized coaching, guidance, professional learning, and transformation tools. Jen is passionate and energetic about student engagement, teacher efficacy, transformative leadership, and literacy. We offer uniquely designed workshops, keynote addresses, coaching, and consulting services. Don’t see what you’re looking for? Fill out our form and we’ll be happy to provide customized programs to meet your needs. Partnership with teams in designing and implementing transformative practices for student learning and engagement. Engaging workshops around maker-centered education, transformational libraries, effective leadership, inquiry-based learning, literacy, and more. Inspirational messages on topics related to student engagement, inquiry, design thinking, literacy, maker education, and more. Custom webinars, interactive workshops, and digital coaching.